Save your search - find out immediately when "James Fenimore Cooper" is available at auction! Smith, Elmer Boyd (1860-1943) Three Original Illustrations for The Last of the Mohicans. Cooper, James Fenimore (1789-1851) The Last of the Mohicans; a Narrative of 1757. 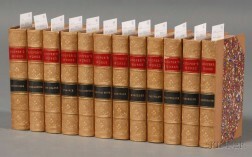 Decorative Bindings, Sets, Forty-seven Octavo Volumes.